"You will remember the popes." "He went on: 'Many people are embarrassed by a poor memory, and find difficulty in concentrating on what they are saying; whilst others are embarrassed by a poor memory, and find difficulty in concentrating on what they are saying. This often causes people to repeat themselves unnecessarily, and also to say the same thing more than once. "...This unfortunate affliction is known technically as amnesia, or memory loss. Amnesia - sometimes known as 'memory loss', or 'loss of memory' - can happen to many people, including world-famous memory experts, industrialists, trades unionists, businessmen, professional men, salesmen, household pets and world-famous memory experts'" (Memory Problems? Forget Them!). In other words, if you want to recall the names of each of the 256 Popes, 33 AD through 1846, you will need help. 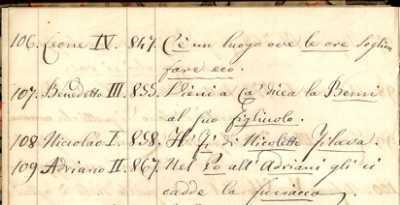 Sometime during 1846-1850, Count Stefano Orsetti, a nobleman of Lucca, Italy, set down, in a 3000-word manuscript, Formule Mnemoniche Per La Cronologia Dei Sommi Pontefici, a fascinating series of elaborate mnemonic systems in tabular form to remember each and every one of their names and more. The first table has a numbered list of name, year of election and mnemonic. The table seems to include memory imagery. It has an additional table with signifying words and linking memory images, eg Fuoco: inferno/Vesuvio. The second table lists the papal names alphabetically with an accompanying homonym eg Benedetto VIII/Beva, Clemente III/Clima and so on. The third table covers the papal names which do not have homonyms and a phonic equivalent is given, eg, Cornelio/Corna; Costantino/Costantinopoli. The Orsetti, "the Paladins of Marila," were a noble family, for centuries lords of Marila, a domain in Lucca, that passed into the family in the fourteenth century. By the nineteenth century, however, the family was on the verge of extinction, the sale of the Orsetti furniture by the last Count, Stefano, our memory expert, was a major event, and pieces from the collection are now in museums and private hands. Aficionados of the Ars Memoria will recognize memory systems developed from the ancient world through the present to enable prodigious feats of memory, to facilitate the transmission of knowledge before the spread of literacy, to spread occult knowledge, for spiritual development, and rhetorical training. Most systems, as Count Orsetti's, use imagery and association within a novel, mental filing arrangement that is meaningful to the individual. From the Rhetorica Ad Herrenium (formerly attributed to Cicero), and Giordano Bruno’s De Umbris Idearum to Tony Buzan’s mind mapping, there is a rich body of antiquarian and modern literature devoted to the development and practice of memory skills. If you're a student of the history and lore of the memory arts why aren't you collecting them? Amazing feats of memory have often been associated with the occult. 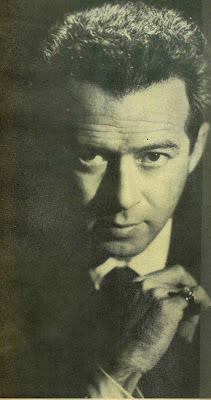 Magician Harry Lorayne (b.1926) integrated memory tricks into his act and, ultimately, devoted himself to memory training. His The Memory Book (1974), written in collaboration with former basketball great turned memory maestro, Jerry Lucas, aka Doctor Memory, was a New York TImes best-seller. Oh wasn't he just great? The papal bank did thrive. There are apocryphal verses for the other 258 popes through Pius XI (1922-1939) to help remember each one's name and what they did. But you'll need more than a mnemonic device to recall each non-existent stanza. Beyond Orsetti's Formule Mnemoniche Per La Cronologia Dei Sommi Pontefici perhaps a non-existent self-help book is in order. Those interested in purchasing a copy of Memory Problems? Forget Them! may use the coupon below to order. Rissoletine Enterprises, a dubious concern of doubtful character, may be a holding company for Paladins of Marila, a division of Orsetti International, a shell corporation ashore the Canary Islands. The scions of a distinguished Luccan family may have to earn a buck, landed gentry without the land and broke. Forget I said that. [Orsetti, Count Stefano]. Formule Mnemoniche Per La Cronologia Dei Sommi Pontefici. [Lucca], 184- . Octavo (195 x145mm). 120 manuscript pp (42 completed; 72 blank). Contemporary half black cloth over marbled sides. Ownership inscription of [Conte] Stefano Orsetti. Those interested in collecting books on mnemonics should immediately acquire a copy of Morris N. Young's Bibliography of Memory (1961) as an important first step. Book images courtesy of Alastor Rare Books, currently offering this unique volume, with our thanks. Image of Harry Lorayne from Harry Lorayne’s Close-Up Card Magic (New York: Louis Tannen, 1962). Amazing post. I always use mnemonic devices to remember things and I have used them since I was a child. 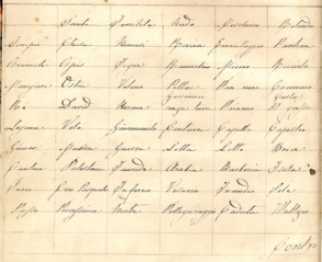 Your post about recalling the names of each of the 256 Popes is very interesting. I have a blog mnemonic devices and I think I'll come back very soon to share some ideas. John from Mnemonic Devices - The Revision Guy, a blog about mnemonic devices.